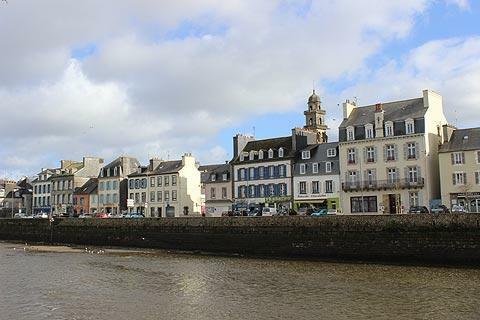 The centre of Landerneau is based around and between the two bridges in the town centre and on both banks of the River Elorn and includes the streets around Place de Gaulle to the north of the river and Place Saint Thomas to the south. 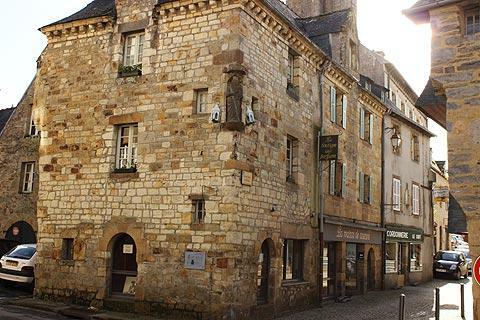 Start exploring Landerneau to the north of the Pont du Rohan and in the Place de Général de Gaulle where you will find the Landerneau Tourist Office and can collect a very useful guide to the town centre. 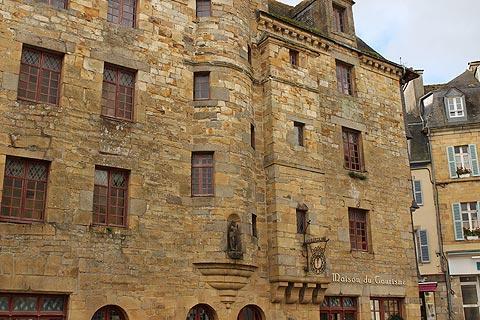 The tourist office is also in the most impressive building in Landerneau, the Maison de la Sénéchaussée. 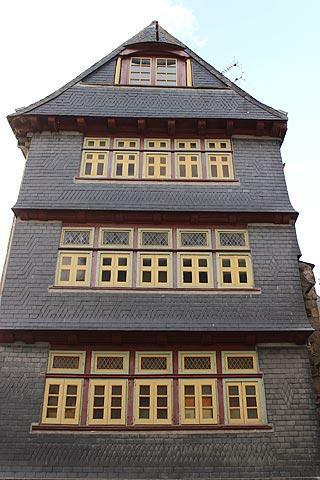 The Maison de la Sénéchaussée (also known as the Maison de la Duchesse Anne) was built in 1664 and incorporates a tower for the staircase and a most unusual feature: the main facade as seen from the square is stone and a mix of medieval and renaissance styles while around the corner there is a traditional slate and half-timbered facade on three levels on the northern side of the building. Also in this square you can see the ancient market halls. The town market is held here several times a week. 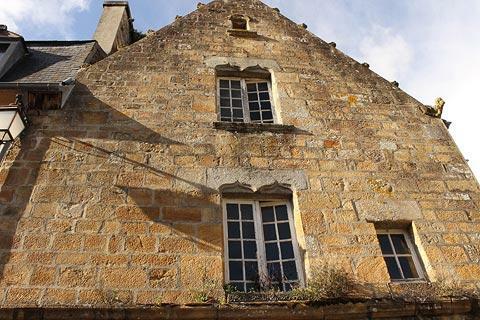 In the streets to the east of Place Général de Gaulle and along the riverfront here there are various other interesting buildings to see from the 16th and 17th centuries such as the Maison Mazurier, the Maison à la Sirène, Maison Duthoya and the Auberge le Réveil Matin. 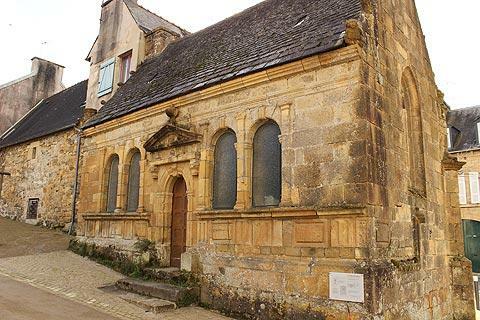 Each of these historic monuments also has an explanatory notice to explain the main features (French only): many of the building have interesting roofs and stonework, and there are also some interesting small statues and architectural features set in niches in the walls to discover as you wander around. A short distance to the north of here you can also see one of the principal churches in Landerneau: the Eglise Saint-Houardon. This church is largely a 19th century reconstruction in the neo-gothic style of an earlier church, and incorporates several elements from the original building eg some of the gargoyles are original. 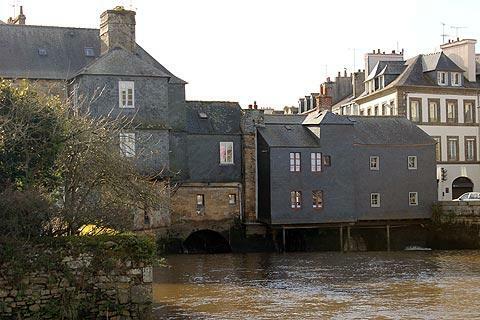 Continue now to the 16th century Pont de Rohan across the Elorn River, the highlight of a visit to Landerneau. This bridge is most unusual, with stone and slate-fronted houses built across the bridge itself: of course when a bridge has houses built on both sides it feels rather more like a street than a bridge, but it is an attractive street! The bridge was built around 1510 but most of the buildings were added in the 17th century. There are now very few bridges remaining in Europe of this style where the houses built across the bridge are still standing: the Ponte Vecchio in Florence is the most famous example. 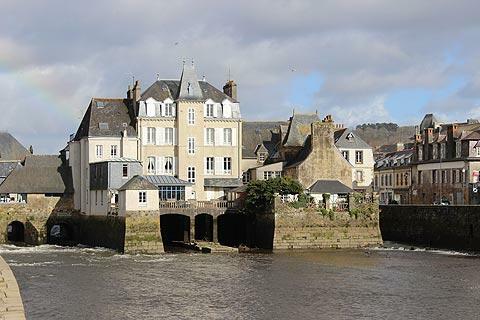 By walking along the Quai de Cornouille you can appreciate the slate covered buildings on the western side of the bridge and the stone buildings on the eastern side. The newer bridge a short distance upstream now carries traffic across the river so the ancient bridge is pedestrianised. Arriving now on the southern side of the river there are several more historic buildings to admire, starting with the 18th century fountain that you can see in the Place des 4 Pompes. Turn right from here to stroll along the river you can see various 17th century houses such as the Auberge Notre Dame de Rumengol and the Auberge des Treize Lunes. The 16th - 18th century Church of Saint-Thomas Becket de Canterbury is also here, and best known for its 18th century altar. Personally I was more intrigued by the small ossuary a few metres from the church which is an elegant renaissance style building featuring an engraving of a skull and cross bones in the stonework. 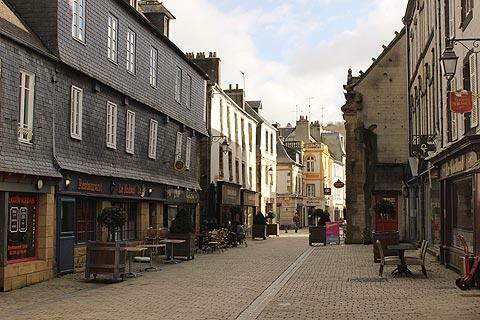 If time permits you to explore Landerneau outside the immediate area of the town centre you will find more places of interest a few hundred metres to the north of the centre with imposing buildings including the Convent of the Capucins, Keranden Manor House and the Convent of the Capucins. Note that the renaissance style Keranden Manor House originally dates from the 17th century although the building we see today is actually almost entirely a 1904 reconstruction. There is an old saying in France "that's going to make a noise in Landerneau" meaning "word of that is getting to get out fast" - gossip is going to spread all over! 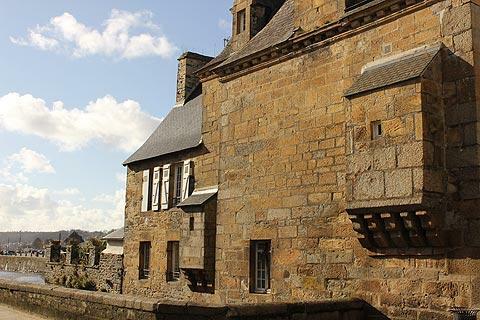 The Regional Armorique Parc is to the south of Landerneau and has a great deal of scenic highlights to discover, both on the coast and inland. 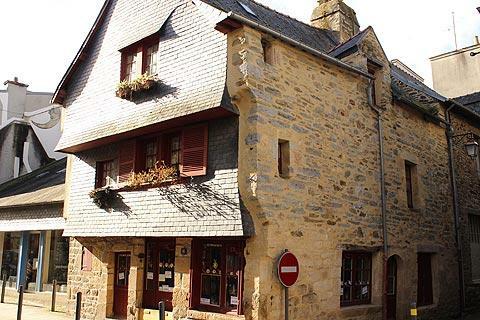 A village that is particularly recommended is Le Faou, a little way south and a listed 'most beautiful village of France'.